Homesharing is quickly becoming a popular and personal way to approach travel, replacing the formal hotel setting with a quaint personal experience. Homesharing has transformed the travel industry, allowing hosts to generate additional income, allowing travelers to find places to stay that fit their exact needs, and providing communities with a more environmentally savvy way to attract tourists and boost their economy. Homesharing sites provide hosts with a supplemental income and a chance to meet people they never would have met otherwise, and provides travelers with convenient and personal accommodations tailor made to fit their needs. Homesharers from all over the world are turning into tourists of their community and creating friendships with people who share their interests. Some homesharers become friends with their visitors and keep in touch even after their guests leave. Hosts are a diverse mix of homeowners, condo owners, those with shelter during times of disaster, as well as people who enjoy sharing their homes and are interested in meeting new people. Homesharing contributes to a healthier community, attracting tourism to areas that need, as well as cutting down on greenhouse emissions, water and fuel needs. The hotel industry views companies like AirBnB as their biggest threat, for good reason. AirBnB is the perfect example of a simple concept, perfectly executed. Although the company didn't take off right away, AirBnB is becoming a househeld name all over the globe. Hosting and traveling through AirBnB is simple and hassle-free, connecting people with people instead of people with corporations. If you are interested in traveling through AirBnB, you just complete your profile on the AirBnB website, search through all of the listings available, and book your stay! For those interested in hosting, you sign up through AirBnB's website, then list your space along with rental fees, security deposit amounts and cleaning expenses. After that, you simply wait for users to book a stay. AirBnB has a page dedicated to hosts to help them prepare for visitors, as well as a plethora of information for travelers to help them find the perfect host. 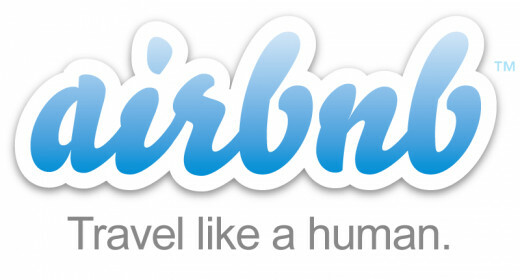 All accounts for both visitors and hosts are verified by AirBnB employees. Payment transactions are completed through AirBnB's site or mobile app, and 24/7 support is always available with AirBnB staff, making visitors and hosts feel secure. Air Bed and Breakfast was founding in 2008 in San Francisco, California. Today, AirBnB is a worldwide community consisting of hosts and travelers, allowing people to list, discover and book unique accommodations that were not possible before AirBnB was created. Although the company hit some roadblocks after launching, today they are thriving and giving the hotel industry a run for their money. AirBnB is active in more than 34,000 cities and over 190 countries. 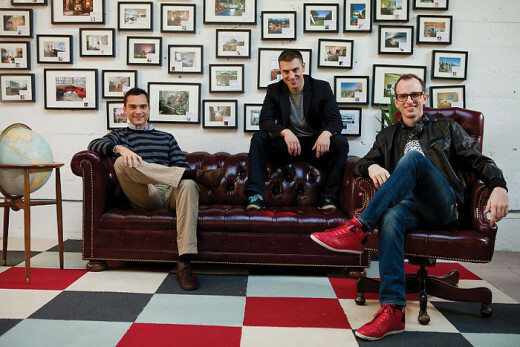 They have had over 17 million bookings through the AirBnB website and the mobile app. Not only has the company provided hosts with a way to supplement their income and travelers with a unique way to make vacationing more personal, but they have also helped thousands of people affected by natural disasters, providing shelter that wasn't previously available. Currently, AirBnB has over 800,000 listings available all across the globe - ranging from apartments in major cities, to castles in the middle of the country. Through the company's messaging service, hosts and travelers can connect with people just like them, people who they otherwise never would have met, helping to strengthen communities and connect humans with humans instead of corporations. Would you ever consider homesharing? Yes! I would definitely be a visitor. Yes! I would love to host. Yes! I would do both! One of the components of AirBnB that I believe makes the company so unique and valuable is AirBnB's disaster response program. Allowing hosts in areas that have been hit by disaster to open their homes for free to those in need, AirBnB unites communities during the toughest times. Hosts who choose to discount their home are able to receive the same tools available through a normal booking, such as cleaning services, 24/7 support and AirBnB's hospitality guarantee. Through AirBnB's disaster response program, hosts have helped those affected by Hurricane Sandy, San Diego wildfires, the Balkan floods, the Toronto and Atlanta ice storms, and Typhoon Haiyan in the Philippines. 1,400 homes became available for free during Hurricane Sandy alone. To help the entire AirBnB community, all service fees are waived during times of disaster for hosts who open their homes at no cost to visitors. AirBnB currently has over 800,000 homes, apartments and condos listed by hosts all over the globe. They have helped over 17 million people find a place to stay while on business, vacation, or during a time of need. AirBnB provides hosts with photographers to showcase their space for no cost. Through AirBnB, its easy to find the perfect place to stay, from castles to boats to log cabins. During times of natural disaster, AirBnB offers hosts who list their spaces for free with no-cost services to thank them for helping those who need shelter. AirBnB provides a blog and messaging service in order to help hosts and travelers communicate with other members, and ensure a great experience for all users. The staff at AirBnB has a thorough verification process, ensuring that hosts and travelers can trust the people that they are staying with, as well as the people who are visiting. Homesharing is a new way to travel, and it happens to be extremely environmentally friendly when compared to hotels. An environmentally savvy way to explore the world, AirBnB guests help cut back on energy and water use, greenhouse emissions, as well as waste. Homesharing helps communities save money by cutting back on existing resources while encouraging tourism, which helps communities thrive. 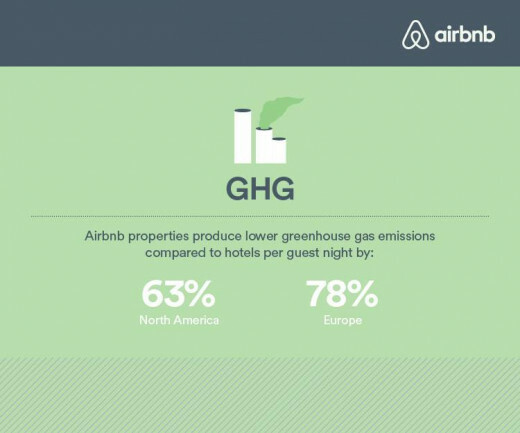 In a study that compared AirBnB to other popular travel accommodations, many eye-opening figures were discovered relating to the environment in places all over the globe. In North America, AirBnB guests were able to cut back the annual water supply by 270 Olympic sized pools worth of water. Greenhouse gas emissions were reduced by the same amount used by 33,000 cars. In Europe, water reduction was equal to 1,100 Olympic sized swimming pools and cut back greenhouse emissions equal to the expenditure of 200,000 cars driven throughout Europe. Not only did waste reduce greatly due to increased recycling, but because of the popularity of energy efficient appliances in most homes, the demand for energy in both Europe and North America dropped significantly. 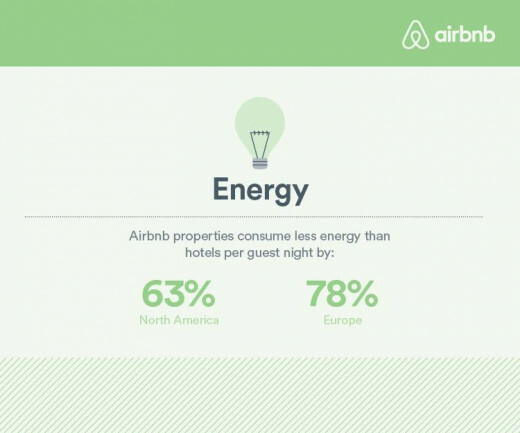 79% of European AirBnB posts report owning energy efficient appliances, and 87% of Americans reported owning at least one. Worldwide, AirBnB travelers used public transit between 10% and 15% more than those who stayed in hotels. Ability to find spaces and people who match your personality and will enhance your experience, both as a host and as a renter. A less expensive way to travel and a great way for hosts to make a supplemental income. Verified accounts, 24/7 hours customer service, as well as an impressive messaging service allow hosts and travelers to book with comfort and peace of mind. Provides hosts with a great way to supplement their income, and provides travelers with less expensive ways to explore the globe. AirBnB is doing wonders not only for hosts and travelers, but it is also helping out communities across the globe, protecting the environment, and providing help to people during times of need. Availability in certain areas at certain times may limit a travelers option, depending on the travelers specific needs. You may get along with the host or traveler you are planning to stay with, but that doesn't always mean that your personalities will mesh once you are staying together. AirBnB is currently in the middle of many lawsuits, challenging the legality of their short-term rentals. 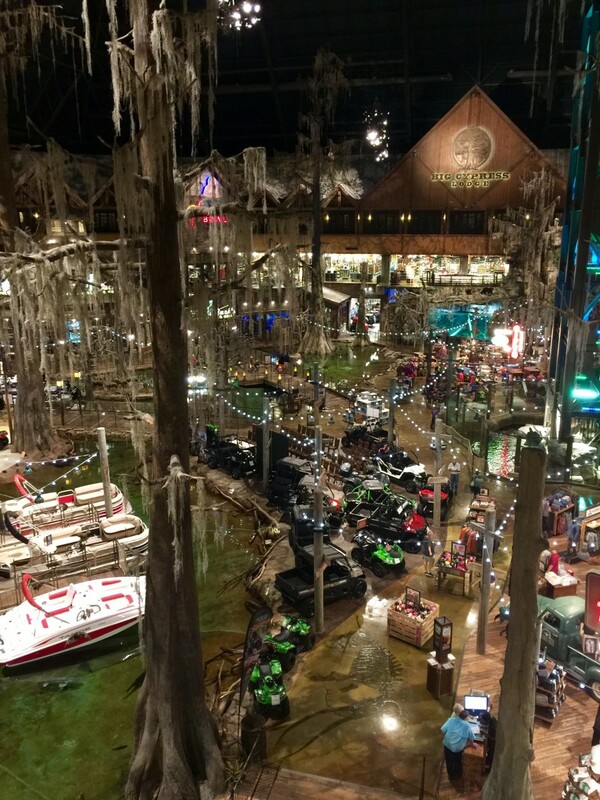 Ads can be misleading, reviews can be biased, and unlike with hotels, it can be hard to know for sure what you are getting until you arrive. Although AirBnB has been a hit amongst business travelers, couples, and those who are single, many hosts cannot accommodate families. This review was written by a traveler not affiliated with AirBnB in way, shape or form. All opinions expressed by the author in this article are based off of her own research and experience. She isn't and has never been an employee for AirBnB nor any of their partners. I've never heard of AirBnB before but my husband and I were talking about something similar recently. This is very interesting to us because of our anthropology backgrounds. 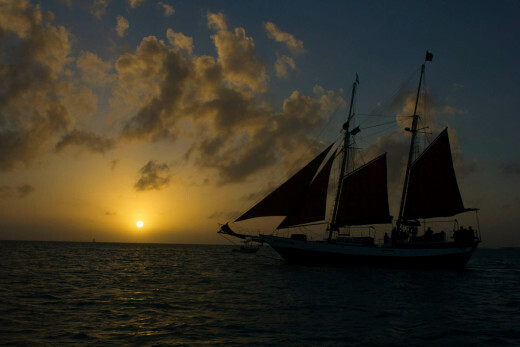 We would love to experience traveling and people on this kind of personal level. Thanks for such an interesting and original article. Voted up! This is interesting. I think it would be much more comfortable to stay in a home (or castle or boat) than a hotel. I've heard of AirBnB but didn't know what it was about. They don't air commercials - at least not in my area. It's a bit distressing to know they are involved in many lawsuits at the moment. That surely isn't good for business. One of my clients has been renting out their downstairs guest suit on AirBnB for two years and have had a definitely positive experience overall. Great article Kathleen. I have never heard of AirBnB, but it is a great concept and I can see how it is becoming so popular. Voted up. Wow! What a great experience. Did you like renting out rooms? My husband and I are thinking about it but are on the fence. 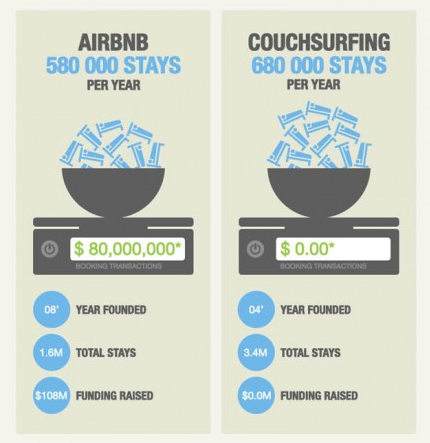 And I would love to couchsurf across Europe! I rented out rooms in my house for 10 years and a closet in NYC for 5 years. And, I'm planning on couchsurfing when I go to Europe later next year. So this is definitely up my alley! Great Article.